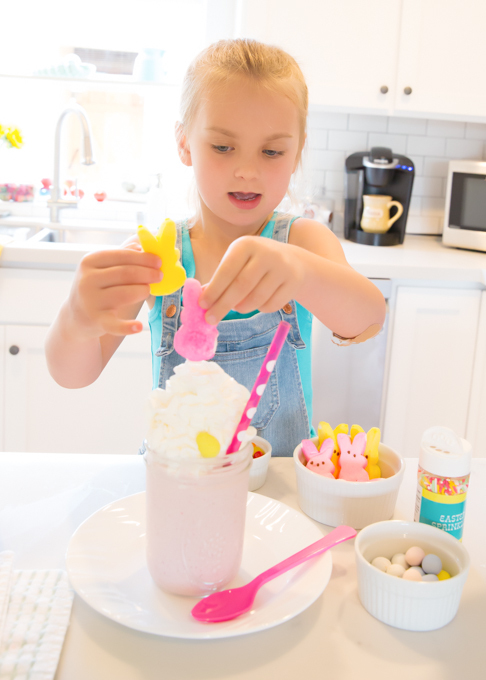 Turn a regular milkshake into a Crazy Easter Milkshake by adding lots of Easter candy on top of the whipped cream. It really was crazy….CrAzY delicious! 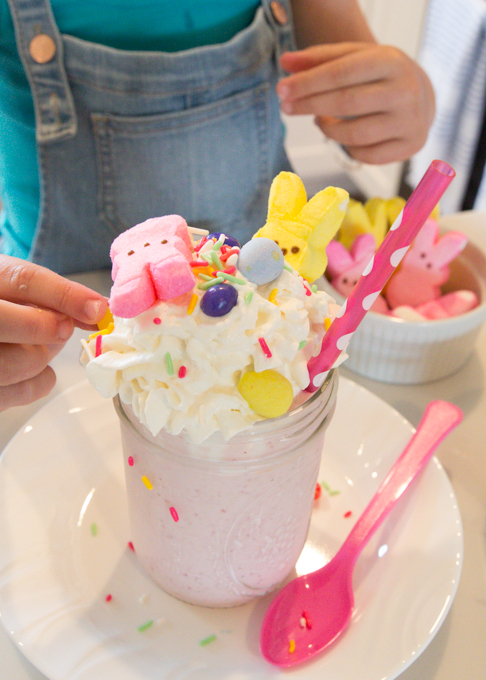 This was the first time I’ve had a strawberry milkshake. I usually get chocolate or vanilla, but I wanted to make it pink, so it would look like spring. Nana said I’d like it, and she was right! I loved it!!! 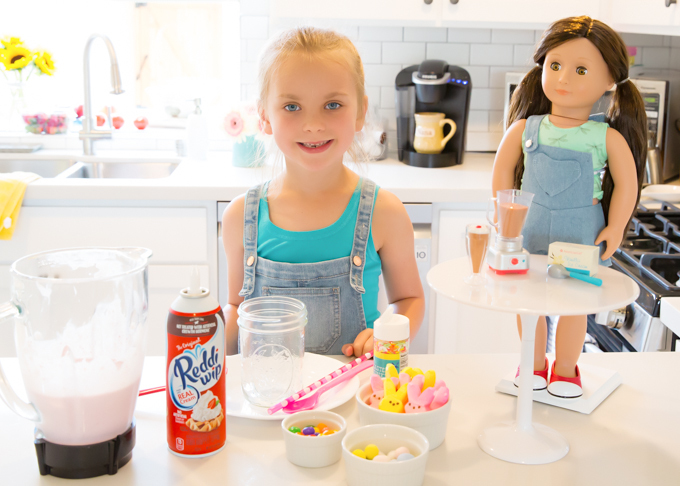 Making milkshakes is easy. 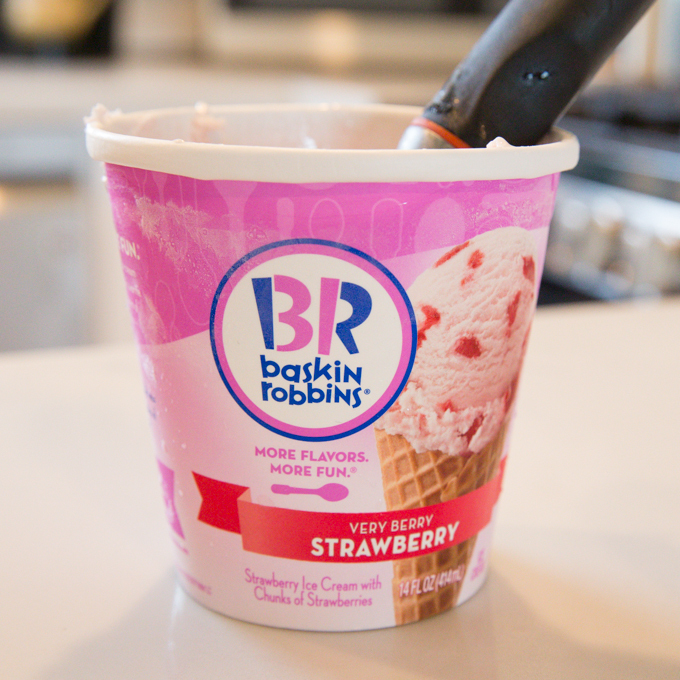 You just need some ice cream and milk. 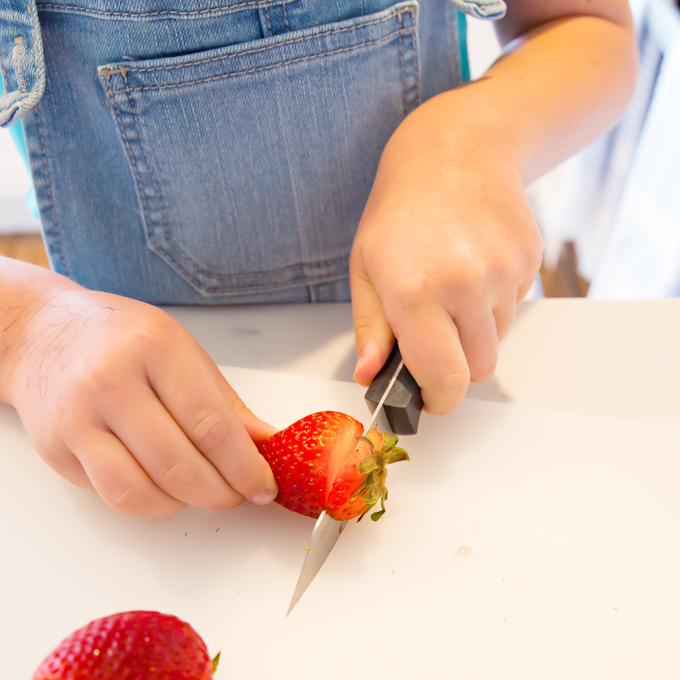 We added some fresh strawberries and they made it extra good! 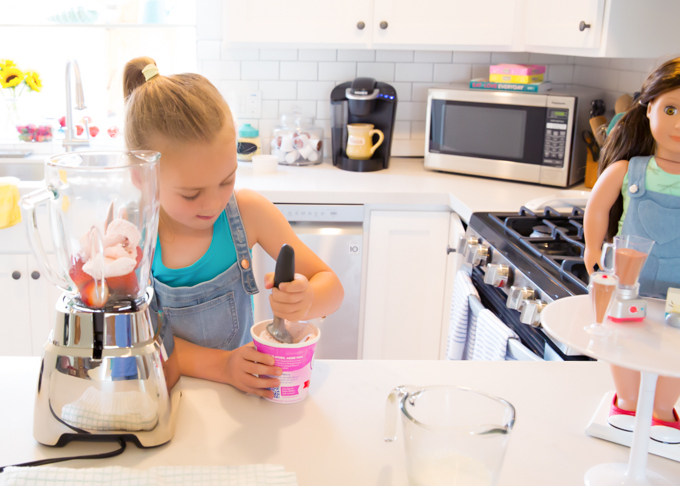 We put everything into a blender, then poured it into a big glass. 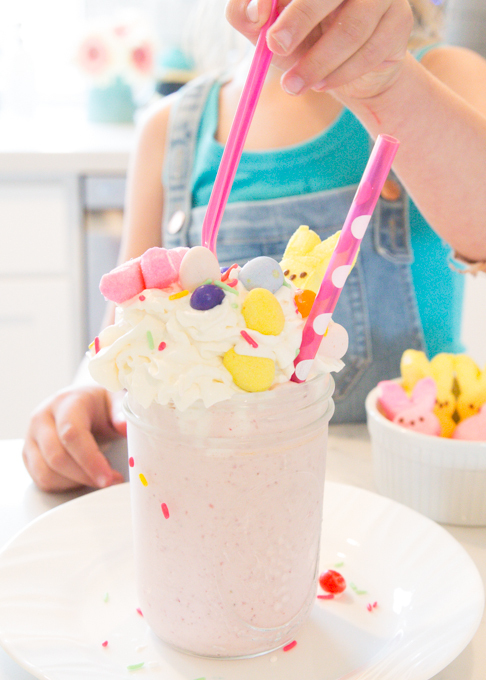 Whipped cream and Easter Candy on top made this shake CrAzY! It’s about to get CrAzy good now!! 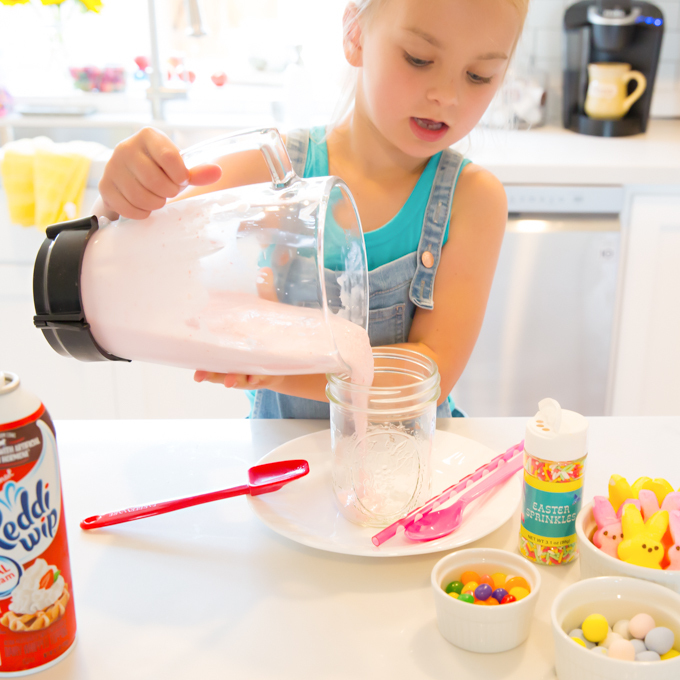 Whipped cream and lots of Easter Candy! 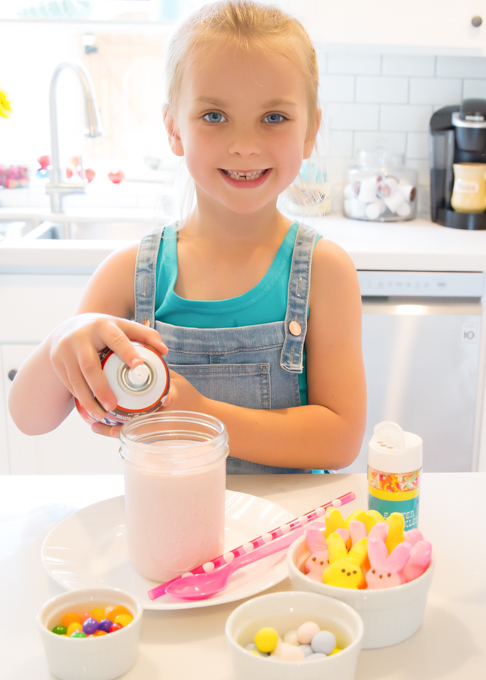 I had to share my Crazy Easter Milkshake with my doll, Michaela, because she only has a chocolate shake. 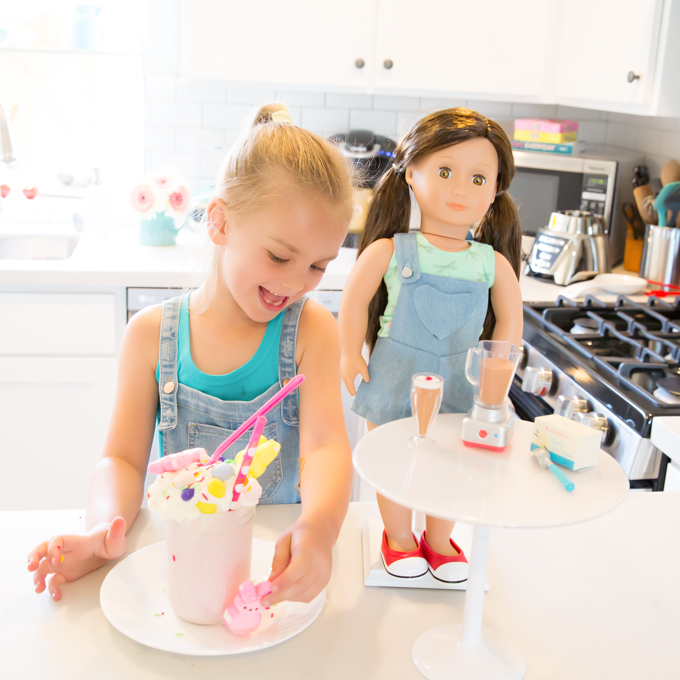 I really think they need to make strawberry shakes for the dolls too. My Nana surprised me with overalls that match my dolls! I just love them so much! I like to match my dolls!! Both my outfit and my dolls outfit came from Target. My dolls is Our Generation, and mine is Cat & Jack. 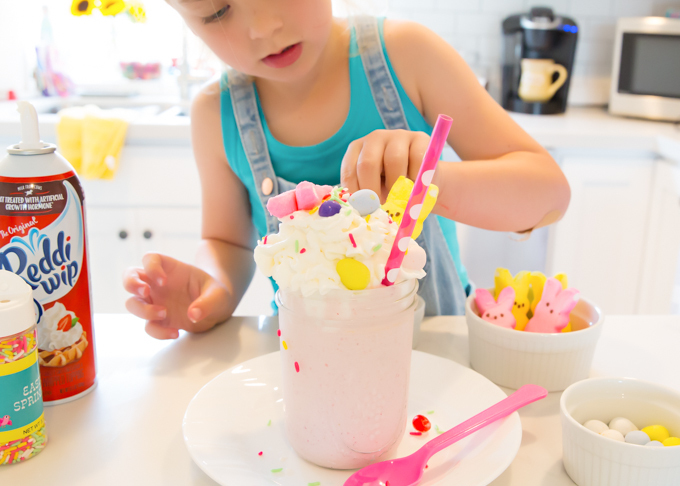 Nana’s translation: These milkshakes were delicious. They were fun to make. 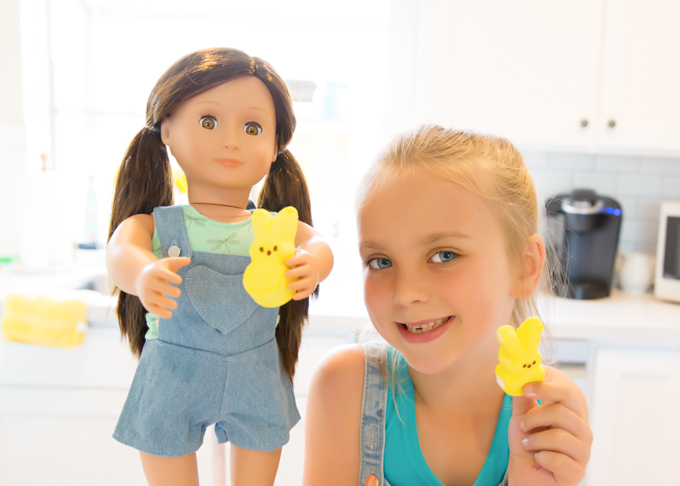 My doll sneaked a Peep. 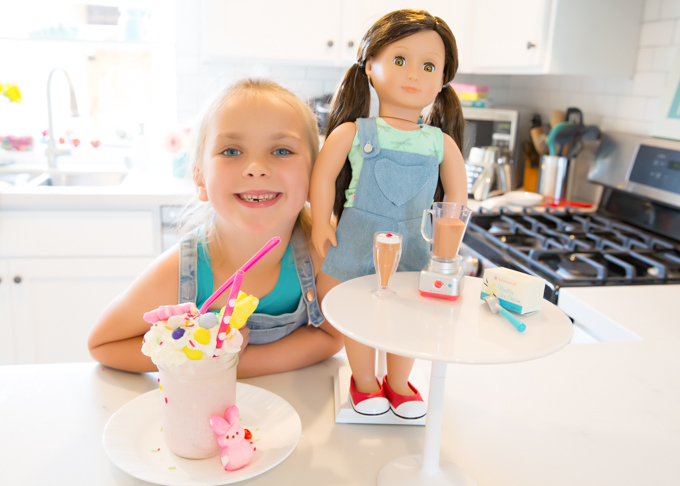 Next time we make Crazy Milkshakes, I think I’ll try a chocolate one! 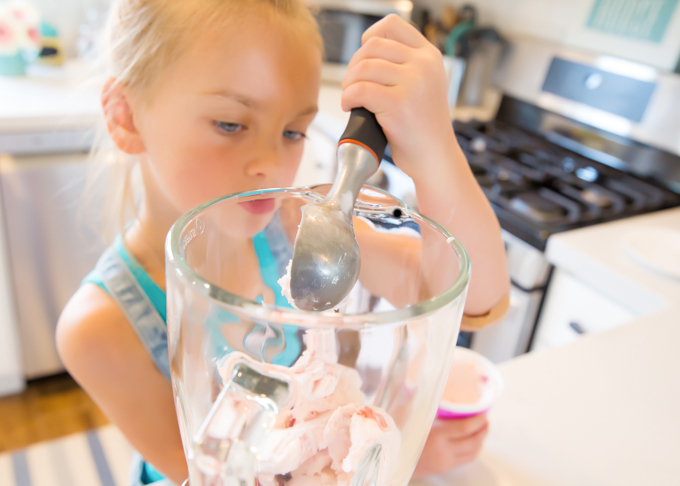 Using a blender, add all the ice cream. 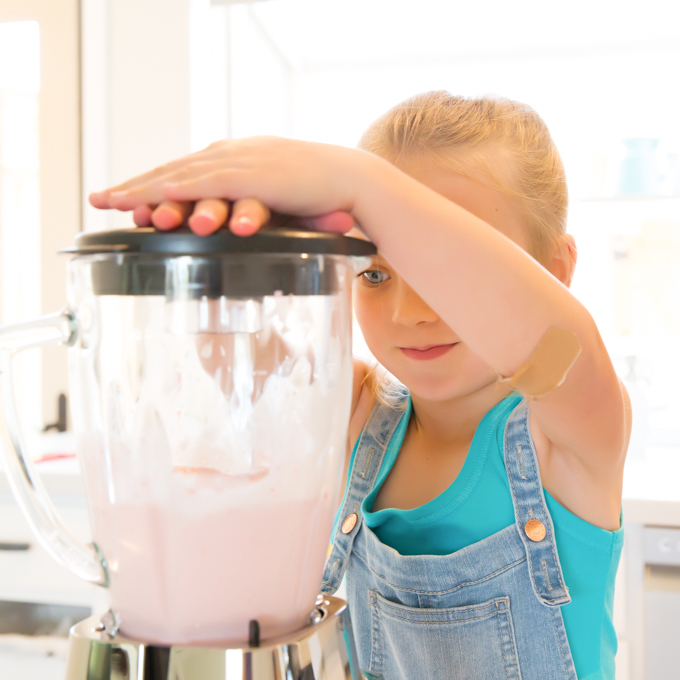 Add milk, starting with ¼ cup and blend on high. Add more milk if it's too thick. 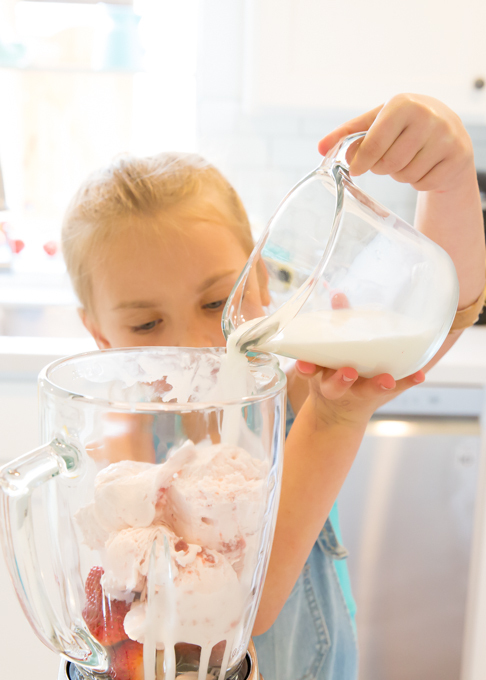 Pour milkshake into a big glass and top with whipped cream. 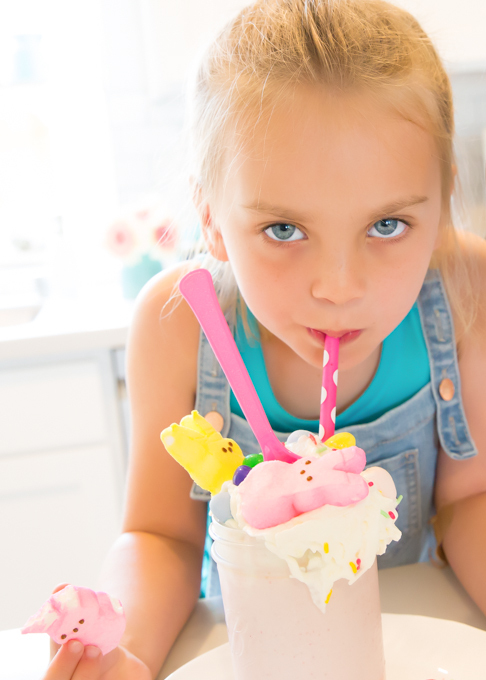 Add candy and sprinkles to make it CraZy!